July 19, 2011 from 2 p.m. to 4 p.m.
After two months our photo contest has ended. We didn't get as many submissions as I had hoped, but those we did get were great! Special thanks to all those who entered photos for consideration. The BIG winner is msteelee! She submitted these three beautiful photos she took while out caching in our beautiful state. The picture above was taken in Milbridge near cache GC13819. This pretty picture was taken in Orland, not to far from cache GCGD3V. 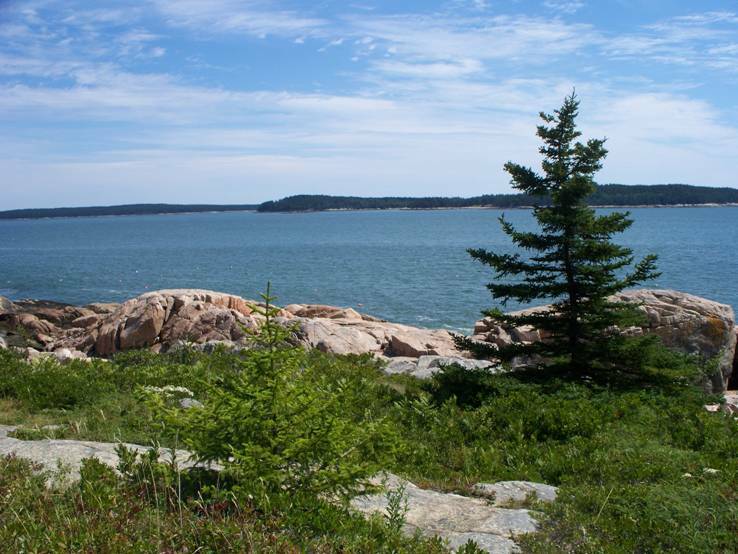 And last but not least, this is from Phippsburg, and cache GCKJNM. Special thanks to those who did participate in this contest. We are preparing a really special contest for you coming soon! Keep watching this contest corner for news of the exciting new contest and special prizes we have in store for you! TNLN , TFTC, SL --- Have you ever seen this on a cache and said, "WHAT?" Well, rest assured, you are not alone. Everyone who begins caching sees these acronyms and might not figure out what they mean. 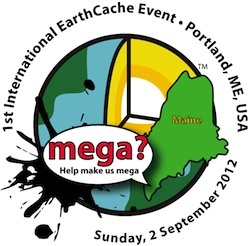 The fine folks at geocachingmaine.org and geocaching.com have us covered. On geocaching.com you can go to the glossary of terms, and on geocachingmaine.org you can go to a great article called Geojargon . Muggle - non geocacher and the dreaded DNF - Did not find! Remember if you run across sometihing you dont understand our website is one of the best resources we have. Get on the forum and ask away...someone is sure to know the answer. Cachers helping cachers. Thats the way caching should be. Along these lines, here is a definition for all you new cachers out there that I have been told is very confusing to the fledgling cacher. Are you a new cacher? Do you have a question about a confusing term or aspect of geocaching? Drop me a PM (private message) and tell me about it. The immortal words that every parent dreads to hear. Usually spoken from the back seat of the car with deperate pleading tones, those words mean that your child is bored. Now what can you do to keep those little inquisitive minds busy? Caching I say! Caching is the answer to many summertime dulldrums , and it just might be the answer to that family togetherness thing everyone is striving for too. Recently I spoke with several of our members who take their children geocaching. I wanted to learn more about caching with kids (how do you know? Maybe I DO mean baby goats), and what the good and bad of caching with a child (ok I was talking about children ...ya caught me) was all about. I wanted to know about it from their prespective as parents but also wanted to look at it as a cache owner who would like their caches to be more child friendly. Lets face it folks, children are the future of this sport. Long after we are no longer able to see the numbers on our GPS's our children and grandchildren will hopefully still be able to take us caching! So I asked these parents some questions and we got some wonderful responses. I was VERY pleasantly surprised to see so many parents jump up to my call for help on this topic. I had the chance to ask questions of people who cache with their children ranging in age from 4-15 years old. That gave me a good idea of the differences with the different age ranges and what special needs if any perhaps the older children needed over the younger ones. It might interest you to know, that most of these people got into caching due to a co-worker who mentioned it to them. So don't hesitate too mention to that guy standing at the water cooler what a good time you had this weekend caching with your family. He just might be interested. Ok that said, I was also a bit surprised that, most of the parents I talked to biggest concern was terrian. As a cache owner, I know that although I always try to accurately depict terrian, I will try to give it a bit more thought in the future. In addition I found that attributes which denote poision ivy or other hazards or benefits was equally of use to caching parents. Furthermore , a note of how far a walk from given parking coordinates to said cache is also helpful for those who have smaller children. So to a caching parent cache description is crutial. Most children seem to most enjoy finding a well stocked cache. Either small toys or trinkets seem to be the most popular. However; we did get one young man who perfers currency. Dont know if that was the odd dollar bill or the foreign coins but money was the fun part . :) The reccuring theme was that the child was dissapointed when the cache was opened and there was little inside. So again, as a cache owner, keeping a well stocked cache is important to keep the little ones interested. Or perhaps if you are a TNLN kind of cacher, you could TNLGS (goodstuff)! Be a Good Samaritan and stock up an empty cache box. Most parents try to avoid nanos and micros when taking their young children with them as they quickly lose interest in searching for something that holds no prize. But slightly older children can have a good day doing a fun numbers run of micros like those found on stud mill road caches. Children of all ages enjoyed taking a friend or young relative on a caching run as well - the more the merrier. The biggest takeaway from my interviews is that no matter the age, no matter the cache, no matter the prize at the end, spending time with your child doing something as simple as caching is the big payoff for the parent. Quality family time is so fleeting because before you know it they are gone out on their own caching runs with their own families, so make the most of it while you can. Pack a picnic, log some caches, but take a child caching today! Special thanks to the following cachers who helped me by providing their insight and wisdom to me so that I could write this article: jabs7386, Thesacogirls, Shuman road searchers, Happytogether, and last but not least JFamilySebec. Without the help of these parents and their children, this article would not have happened. Way to get involved in the caching community! YOU GO! If you get stuck go HERE for the answer key. If you would like a file you can work on offline, a PDF version is available to download and print. We here at Ammo Can HQ are working through our liasons to get you a series of articles and tutorials on GSAK (Geocaching Swiss Army Knife). This is a truely helpful tool to the modern day geocacher, but if your not familiar with it's operation , it can seem a bit overwhelming. We hope to bring you an ongoing series of articles that will ,over time, give you a good working knowledge of GSAK and some of its benefits. Not familar with GSAK, you say? Well here is an overview from the GSAK website that should give you an idea of what it is. "GSAK is the all in one Geocaching and waypoint management tool. Major features include: Multiple databases, sending/receiving waypoints to GPSr, Google maps, conversion to many mapping formats, PDA output (including CacheMate support), HTML output, extensive searching, macro support, backup and restore, distance/direction from other waypoints (including caches, locations, post codes) and much more. GSAK only runs on Windows operating systems (2000, XP, Vista, Windows 7) "
"GSAK is FREE to download and use, but after 21 days of unrestricted use you get a nag screen. You can keep using GSAK after the 21 days, but if you want to remove the nag screen you will need to register the program"
Keep your eye on this section for future installments on this useful program. Oh dear! Now see what happens when people rely on me to see things. Last month I neglected to mention that inhUMaine achieved his 100th cache. That is a real milestone that most all of us can remember. Appologies to Dan for not catching that last month. He even did a blog about it. Check it out, as well as the other blogs there too while you are in the neighborhood. Let that be a lesson to the rest of you... if you accomplish an achievement... TELL ME! Send me a PM, email, or catch me in the chat room. Here are a few folks whose achievements did make it to me! And as always thanks for being a part of the Ammo Can! Congratulations to dufzor for hitting her 300th cache last month. Dubord207 just logged his 4000 cache recently. Here he is at that momentous occation pictured below. One thing tho.....he is only holding up 4 fingers.....are you sure your not recycling a picture from your 4th cache? Way to go Dan, that is A LOT of caches. Be sure to check out the nice writeup all about Dan in our "Getting to Know You" section. And a big "ATTA GIRL" to Iampaw for making it over the 8000 mark! WOW, that's a monumentous number of caches... suppose she has a favorite? or a least favorite? Do you? Maybe she will send us a caching story...or maybe you should send us your caching story. Hey - why doesn't everyone send us their caching story? And keep those member achievements comming in! This month the Ammo Can is proud to be able to bring you another in our series of getting to know you biographies. This month we are featuring another one of our board members dubord207! Thanks Dan for getting this to us. "Geocaching for me began October 30th, 2007 following a successful opening day of deer hunting. I had always carried a GPS (a Garmin 60CSX) in my backpack in case of getting turned around in the woods. With my buddies all out chasing deer, I decided to chase a geocache and successfully found Kaching Karen's "A Great Place to Launch" which turned out to be a great place for me to launch a geocaching career. By way of background, it might be fair to state that I am a "hobbyist" which means that if I see something that looks like fun, I will probably try it and if I like it, I'll stay with it. Geocaching has fallen into that category. I am also actively involved in environmental concerns, most involving water quality issues with Maine Lakes and Ponds. I founded the China Region Lakes Alliance and also extended my environmental experience by serving 8 years as a Trustee at Unity College. When I got married, my wife and faithful geocaching companion, Dianne suggested it might not be a bad thing to give up stock car racing, sky diving, fire fighting and other similar hobbies that were likely to eventually get me killed! Therefore, geocaching began in earnest. A good day of caching for us is a mixed bag of caches. We like to cache with our two Labs, Nick and Bo and we have shared some fairly extravagent picnic lunches on our caching trips. While we haven't cached extensively in the United States, every time we go to the Caribbean on vacation or on a cruise, we manage to find a geocache on every island. If asked what my favorite caches are, they would all be caches sitting on top of mountains where a legitimate hike was required to make the find. As far as what I like best about caching, it's the people I've met and the places most folks drive by and wouldn't even know about but for geocaching. I became a Board Member with GCM after being nominated and reflecting on what I think this organization might be able to achieve. Presently there are over 2,000 members with only a very small percentage of active members but the numbers have grown somewhat during the past year. It's clear to me that GCM is a very viable site, provides a tremendous amount of information to new cachers and represents the Maine geocaching community in a positive light." Somehow I just dont see Dan in the stock car drivers seat after hearing about his bartending skills at the Eustis event last year! Although it would of been something to watch I am sure! :) Thanks Dan for providing this insight to yourself. We have several other cachers who are working on getting their bio's to us for future newsletters. You dont have to wait to be asked....send your bio to me any old time. We want to have a chance to get to know all of our Maine cachers. Simply use other bios as a guide or write up something totally YOU! Submissions are ALWAYS welcome. Last month we asked you what swag items you HATED in a cache. We got a great response to that poll and I thank you for all the great discussion on that topic. Well this month we would like to know what are your FAVORITE items to find in a cache. Just like last month if you choose the "other" option please let us know what you really like by posting a short forum note on this poll question. What are your FAVORITE items to find in a cache? 5. Other....remember if you choose this please tell us what that item is by posting in the forum. Inquiring minds wanna know!!!! So how did everyone do with last months question? We asked how many night caches are there in the state of Maine? Not those with a 24 hr attribute mind you, I mean those designed to be done at night. This month we have another stumper for you. What was the original name of geocaching? Before geocaching was geocaching it was called something else. Can you find the answer? We will have the answer to this in August's newsletter.